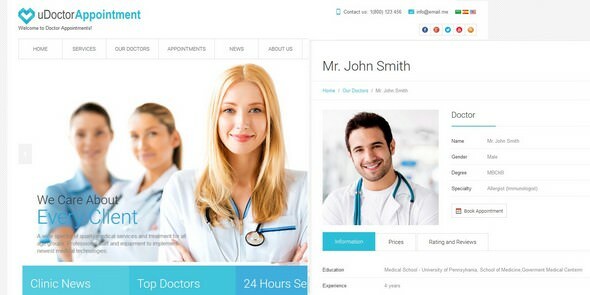 uDoctorAppointment This script allows doctors to register and select appropriate membership plan with different features. Patients can view doctor profiles before booking appointments. The site administrator or doctor may create and manage advanced schedules, create working time slots for each day of the week, define time off etc.